Fahsai flashes her beautiful smile during her 10th birthday party. Pattaya Mail celebrates their 25th Anniversary! We would like to congratulate everyone at Pattaya Mail and a huge thanks for your magnanimous support for the last 21years. We couldn’t have done it without you! Disabled child, Fahsai, turns 10 years! 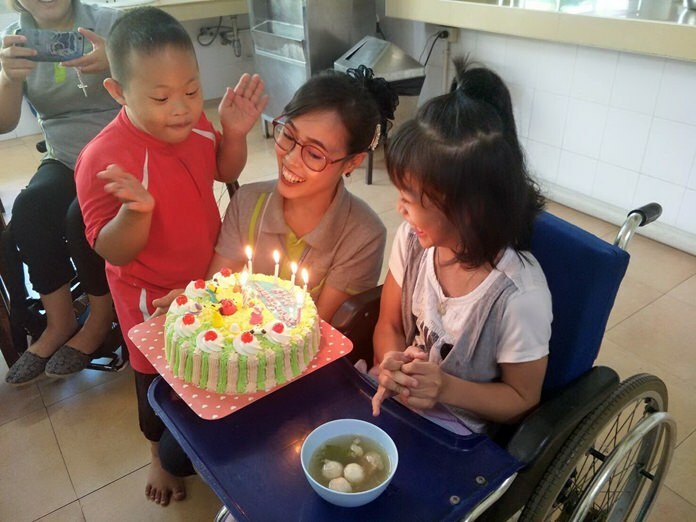 If you have been following this story since 2012, you will know that this child has come a long way after abandonment and living with cerebral palsy. 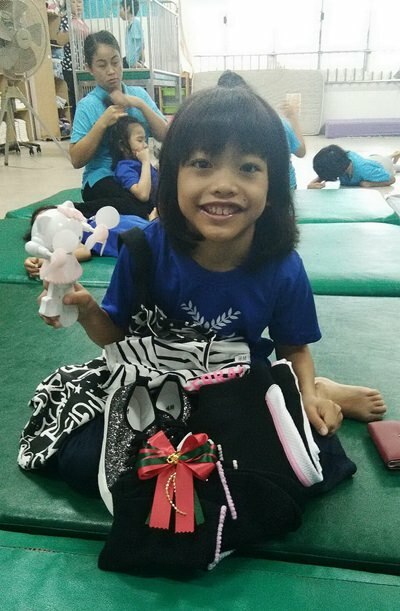 Our part, Jackalope and Jesters, has been the funding of her 24/7 care at the Camillian Home in Lat Krabang, for children living with disabilities and those also with HIV. Fahsai, once immobile and introverted, now gets around with walking aids, and when she talks and/or sings, it’s with pure joy! Please don’t forget their annual charity golf tournament on Friday, August 3rd. All proceeds go the Camillian Home and the Camillian Social Center in Rayong. Or you may go online with PayPal using our email [email protected]. For more info, go to www.care4kids.info and www.facebook.com/jesterscare.forkids. Fahsai’s birthday cake brings joy to the entire home.